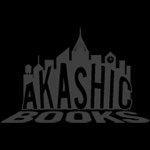 AARON PETROVICH has been working with Akashic Books since 2005, and is currently Akashic’s production manager, e-book developer, and associate editor. He was copublisher of Akashic Books’ short-lived Hotel St. George imprint, which produced his book The Session: A Novella in Dialogue. Aaron has written and performed short works of theatre in a variety of NYC venues including the Soho Rep, Improvised & Otherwise: A Festival of Sound and Form, the Midtown International Theatre Festival, Manhattan Theatre Source, and the Estrogenius Festival. He now only writes novellas, and only over long periods of time. He does not live in Brooklyn. Frantic, stunning, and with a subversive intelligence, Aaron Petrovich’s Keatonesque heroes, Detectives Smith and Smith, stumble upon a bizarre new religion while following the trail of a murdered mathematician’s missing organs. Their investigation to discover the truth—about the mathematician’s murder, the mob of men and women who may have eaten him, and ultimately the nature of truth, sanity, and identity—leads them into a lunatic asylum they may never leave. Writing in a pitch-perfect language reminiscent of Beckett, Chandler, and Pinter, Petrovich elevates rapid-fire banter to a hysterical musical litany that carries the detectives, and the reader, right along with it. Hotel St. George is an online literary and arts quarterly featuring original fiction, artwork, short films, music, soundscapes, spoken word and secret histories, all occupying carefully designed rooms in an ever-expanding virtual hotel. Our imprint is dedicated to publishing work that playfully fuse the formal craftsmanship of art books with the substantive content of dynamic, modern prose.